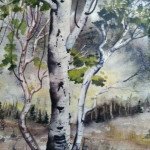 A retrospective exhibit of paintings by Edith (Edie) Smolak will be on display at the UU Gallery during the month of October. A reception will be held on Saturday, October 6 from 4 – 6 pm. Refreshments will be served. Edie Pachter was born February 22, 1908. She married sculptor Louis (Louie) Smolak in 1943. She taught art at the Jahn School in Chicago, and was acclaimed as a leading art instructor in Chicago. Edie taught art for 34 years and was elected president of the Chicago Art Educators Association in 1952. Edie and Louie, who were married for 55 years, had a studio and gallery on Old Stage Road near Sister Bay. Edie is remembered by her Door County friends for her quiet and gentle spirit. She is also remembered for her flair with Russian cooking. Edie was passionate about art. 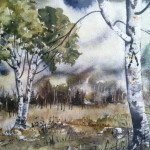 She worked mainly in watercolor and painted a wide variety of images, most notably scenes from the Door County landscape. 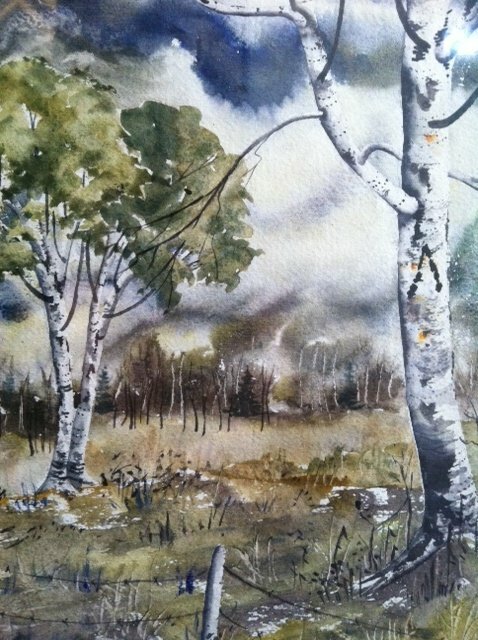 When she died in 1998, the family was left with many lovely watercolors. 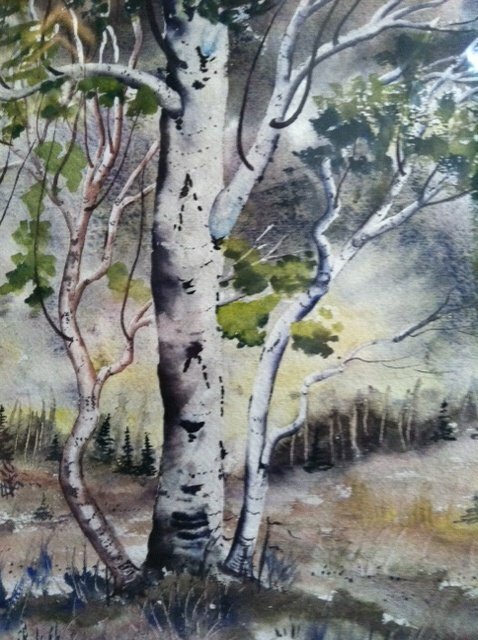 This exhibit features close to 30 paintings, some which are available for purchase. Edie attended the Fellowship when the meetings were held at the Meadows, and Louis joined the Fellowship after Edie died. Gallery hours are Mondays, Wednesdays and Fridays from 1:00-3:00 and on Sunday 11 am to 12:30 pm.